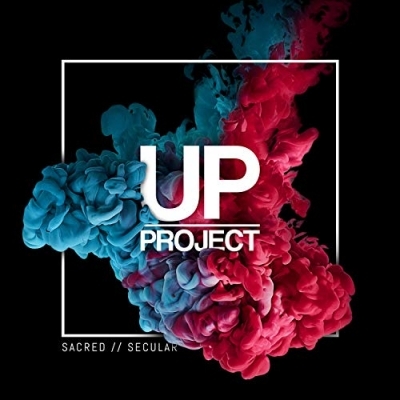 Urban Praise Project have released their highly anticipated debut EP 'Sacred // Secular', featuring the first single 'Coming Back', plus four other tracks. "It's about breaking down the walls and barriers of worship", explains The UP Project. "Finding a new voice and style in our sung worship. It’s about breaking down the sacred and secular divide in the way that the church sounds and expresses itself. Its time for a change; will you join us and be a part of the journey?" "Every so often something gets unleashed into the worship scene that immediately grabs your attention. UP Project is just that. These guys are taking festivals and events by storm. A full on party vibe fused with praise - I love it!" said Carl Beech, UK Director of The Message Trust. The UP Project came together from a desire to seek a fresh style of corporate worship. Envisioned to hear worship music that sounded like their favourite secular tracks, the collective set out to develop an edgy, urban sound through 'mashups' that bridge the sacred/secular divide, and provide a spiritually engaging and freeing experience. While leading 'The Hungry Venue' & the 'Impact Venue' at New Wine, the team began to play with different samples and tracks to produce a raw, loud and dynamic sound. The group experimented with ways in which they could push the boundaries but at the same time keep people engaged, crafting and honing their style and sound over a mixture of Christian conferences as well as specific praise party evenings. Through this the Urban Praise Project officially formed and with it a vibrant sound and experience designed to make you jump, dance and sing your heart out to the Lord.